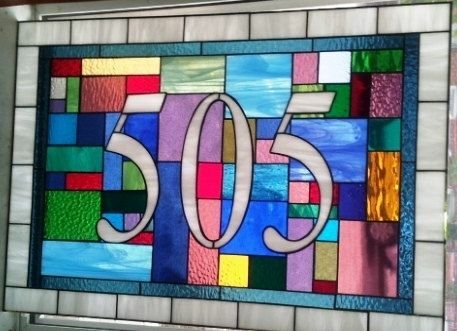 This lovely transom window, featuring our customer's house number, is a great way of adding a fun and colorful touch to your home entry! 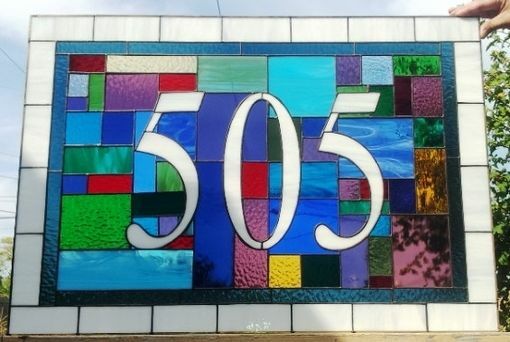 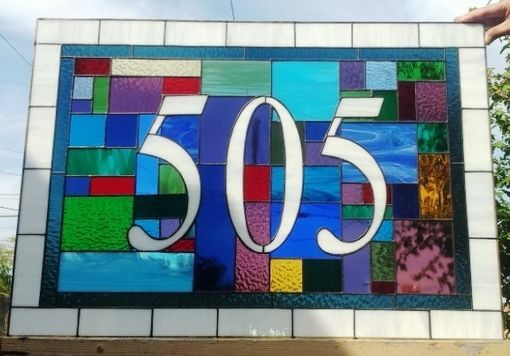 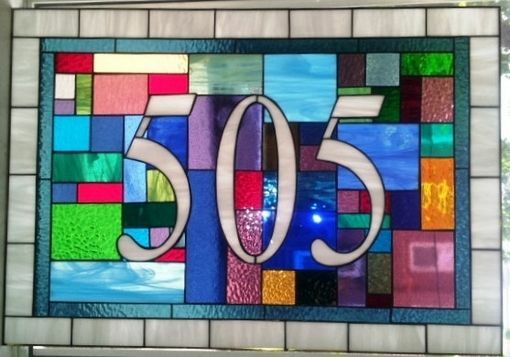 Glass: The border and house numbers are translucent white opal. All patchwork background is a mix of greens, blues, yellows, amber, purples and reds in various shades and textures. 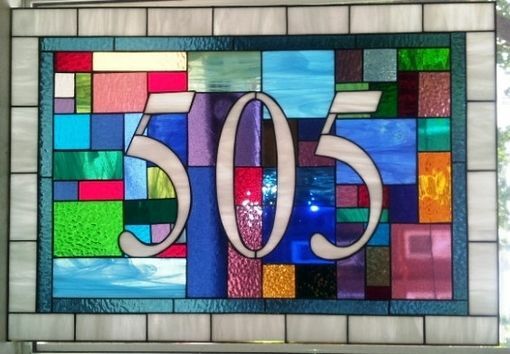 If you want your house to stand out in your neighbourhood, you should contact us because we are specialists in creating original pieces that catch all the looks!